Life with three little ones is challenging. To survive you definitely need a plan, which is why most days we follow a schedule. I know God used that year to teach me. 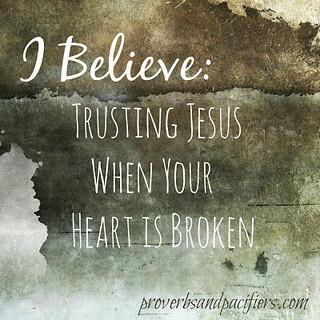 He taught me about patience and finding joy in the hard things. But still I knew I wanted to try something different the second time around. The result were fantastic! My family thrives on routine, and both Cupcake and Little Bear have been sleeping through the night between 2-3 months old. Having a daily routine gave me confidence as a mom, and most recently it's saved my sanity! I'm dealing with three little people that are still very much dependent on me for EVERYTHING and having a plan helps me know that I really can do this. Really. In the past I've actually been pretty quiet about the fact that we use a "parent directed schedule" for our babies. It's actually quite a controversial topic in most parenting circles. Just try mentioning the word "Babywise" on a parenting forum and you will be cussed out and torn to shreds. Literally. So often people associate scheduling with rigid control and lots of crying, but that's not it at all! It's simply ordering your baby's day in a way that ensures all their needs are met during the daylight hours, so they are free to sleep and rest well at night. In fact, most recently Little Bear at 7 weeks eased into sleeping through the night beautifully. No crying involved! Of course there are some extreme (read crazy) parents out there who take scheduling to the extreme, ignoring babies needs and bending them to fit their pre-determined plan. That's not Babywise. That's bad parenting. The truth is whatever way you choose to parent there are some things common to all good parents. 1. Feeding a hungry baby. Little ones depend on you for food and they need the assurance that you will meet their needs when they need it. A baby should never have to wait long for food. If they are hungry, feed them! 2. Lots of cuddling, holding, and nurturing. Babies need to be close to mom especially in those first few weeks! We also have lots of skin to skin contact, napping together, and baby wearing, even on a schedule. My favorite time of the day is when the toddlers are asleep, and I can sit and snuggle Little Bear. 3. Providing a safe sleep environment. We all want our babies to sleep well and to sleep safe. For our family, that means swaddling, using a pacifier, and taking most naps in a bed/bassinet with a fan on. I've found that my babies sleep better when they are stationary and not being jostled about in a car seat or baby carrier. All babies need to eat, sleep, and play (and that's about it unless you count dirty diapers and I don't like to think about that). 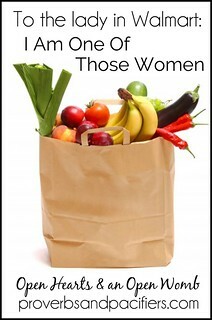 The issue is simply how you as the mom choose to meet those needs. I know plenty of great moms who just go with the flow and let their baby take the lead. However, I prefer having a feeding/sleeping schedule (like Babywise) because it allows me, as the parent, to set the pattern for our day AND meet all of babies needs. Of course, it's not a perfect system. There are still plenty of sleepless nights especially early on! Remember we are dealing with babies (not robots). They are real-live human beings with individual personalities and problems. But scheduling gives me a place to start and a plan to follow while I learn about these uniqueness of each child. I like that. Of course, the BIG question when dealing with infant scheduling is always, "What about crying?" There are any number of experts out there, all with different opinions. Some say that crying will turn your baby into a sociopath, and others say let them cry for hours on end until they bend to your will! I think the truth is probably in the middle somewhere. It breaks a mother's heart to hear her baby cry, no matter what your parenting style! A baby's cry has a way of sending a new mom into a tail spin. We often panic and just want to run in a save the day! However, a baby's cry is the only way they have to communicate, so instead of reacting, it's much better for us to listen, assess, and respond in a way that not only stops the crying but fixes the under lying problem. Sometimes that means feeding, sometimes cuddling, sometimes a diaper change, and sometimes putting baby in a familiar sleep environment so he can rest well. My response depends upon how and why baby is crying. I don't want to just stifle his cries. I want to meet his needs! Do you have a schedule for your little ones? 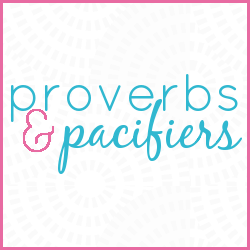 I'd love to hear your thoughts on parenting styles and why you do what you do! Yes! I demand fed my son til he was six weeks old - his sleeping was getting worse not better because he had learnt to snack rather than feed. The routine saved everyone's sanity. I followed the Contented Baby routine which is also controversial, but it worked for us. Now my son always knows the basic layout of our days - when we have food, when we play, when we sleep etc. When we go on holiday, we have no issue with nights or days because even though he's in a different environment, his day still looks the same. I will be putting our new baby on a routine within the first few weeks - it may be the same one, or it may be different - she'll let me know what suits her! Good on you for being brave and sharing what works for YOUR family! Thanks Sarah! And yes, each baby is different and our schedule looks different for each one. There is a learning curve in those first few weeks but I love having a plan to get us started. We focus on full feedings and not nursing to sleep. Just being aware of those things really helps you find your rhythm! And I'll definitely look into the Contented Baby! I'd love to see how it compares to what we do. I just have to chime in and say that I am an attachment parenting mom who does not at all hate Babywise or Babywise moms! I am a firm believer in moms finding what works for them. Some women thrive on routine while some embrace the freedom of going with the flow. If a mom is happy and her children are thriving, she is doing it right! I think it's great when moms share what works for them in the spirit of helping others find their own unique mom style. 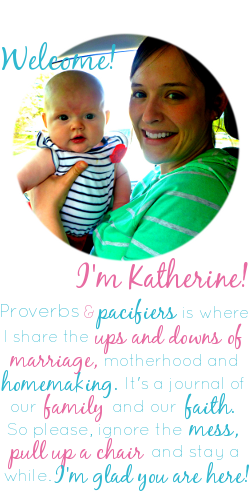 :) I like to think that there is no AP or Babywise in God's kingdom, only imperfect moms who love their kids and love Jesus! Yes! Thanks for commenting. I hate that so many moms forget the little fact that we ALL love our babies and want what's best for them. 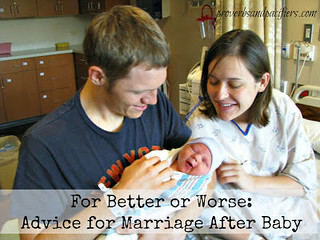 No where does the Bible talk about co-sleeping or feeding schedules :) It's all about grace and encouraging one another. I love Babywise and love being a parent because of how much joy and freedom a routine has brought us! Thanks for this post. I'm also so glad to see Faith's post above -- what a breath of fresh air she is. Most AP moms seem to shun Babywisers, and even if they've never *actually* read Babywise they refuse to believe there is any good in it. Glad there are some out there who have the wisdom to acknowledge that there is more than one way for children to thrive. Our babies are big kids now, but I just came across this and it brought back so many memories! 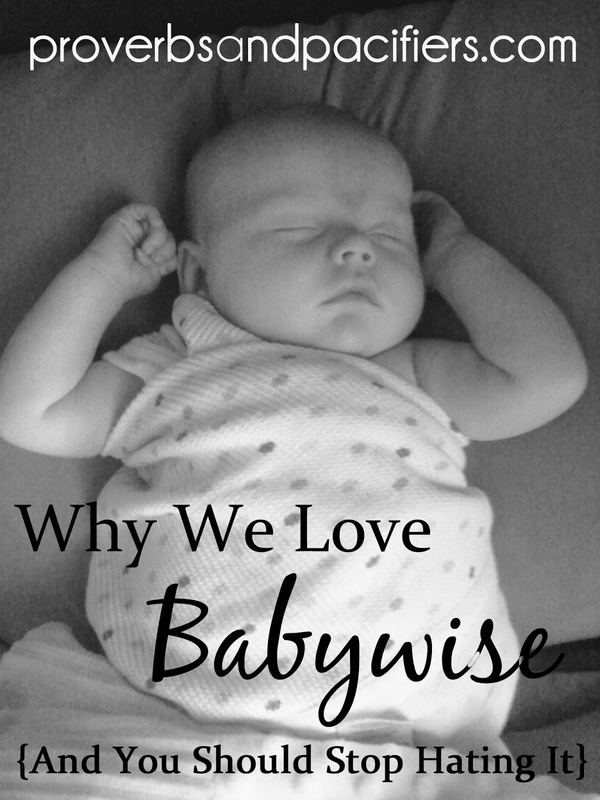 We used Babywise with our first after it was recommended to us by a mom whose interactions with and happiness of her babies had always impressed us. We took a lot of grief from family and friends, but it worked so we stuck with it. Then baby #2 made her appearance as a quite sick preemie, spending the first two weeks of her life in the NICU. What do you think we discovered in the NICU?! Those babies were on a schedule, a strict schedule of feedings, touching, meds & treatments, and rest. We asked why and her nurse said it was the best way to provide a sense of stability for these struggling babies whose new lives had so little stability otherwise. We smiled to ourselves- if it was so important for sick babies, why not for healthy babies? 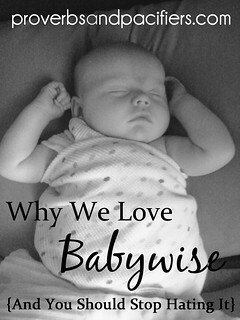 Needless to say, we continued to use Babywise with all our children.